A major joint research project in which all of the six research groups united in the Institute for Photonic Integration participate, is the NWO Gravitation project ‘Research Centre for Integrated Nanophotonics’. This program has received a 19.9 million euro research subsidy from the Ministry of Education, Culture and Science. TU/e itself is investing a further 20 million euros in the project.The program runs for 10 years (January 1st, 2014 - December 31st, 2023). Data traffic is increasing explosively worldwide, and with it the consumption of electricity, particularly in data centers. The increasing numbers of data centers in the USA account for two percent of the total electricity consumption, and demand is continuing to rise at an alarming rate. This is primarily due to communication between computers and processors. To prevent this increase from becoming unsustainable, researchers in Eindhoven are developing new photonics technology. Photonics transmits digital signals in the form of light, instead of the electronics used at present. The big advantage of using light signals is that much less energy is required. The main data traffic volumes worldwide already use optical signal transmission, through optical fibers, but signals in the data centers are still mainly transport electronically. 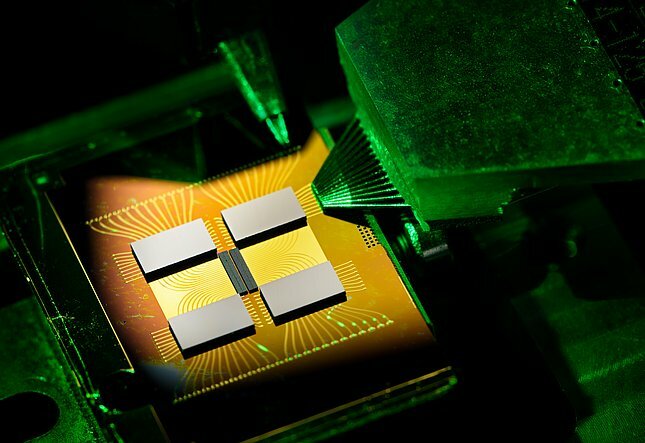 At system level they are investigating how they can introduce photonics connections in the whole network. At component level (microchips) the researchers are developing ICs combining both electronics and photonics, so the distances between them are as small as possible and the electricity consumption is low. And at material level they are looking for new ways to reduce energy demand as far as possible, right down to the fundamental limits, by increasing understanding at the level of individual electrons and photons and their interactions. The results of the project will help to determine the future of internet.